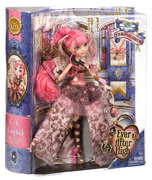 Hexcitement’s in the air at Ever After High! It’s time to spellebrate…time to get epic…time for Thronecoming! 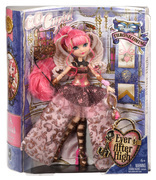 Four Ever After High students have been nominated for the role of queen, but the winner is any fairy teenager’s guess. Girls around the world will have the chance to vote for who they think should be crowned! 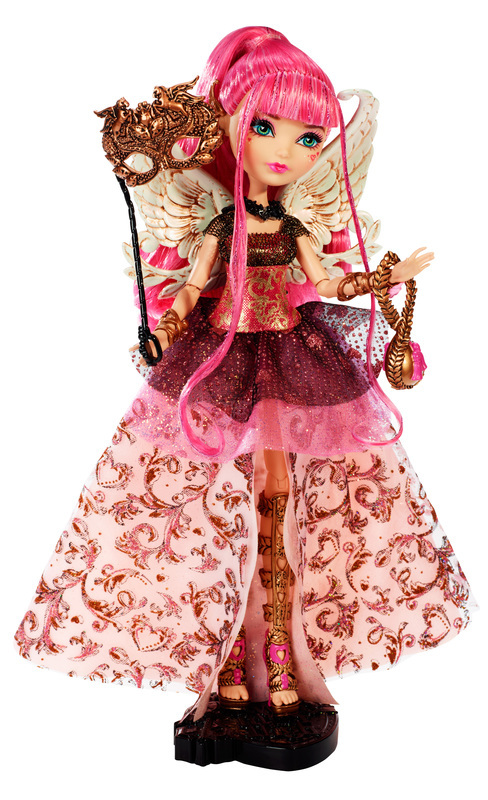 To make their best impression, Thronecoming court are wearing spellbinding dresses inspired by their creature companions, like Pegasus, a friend to C.A. Cupid. 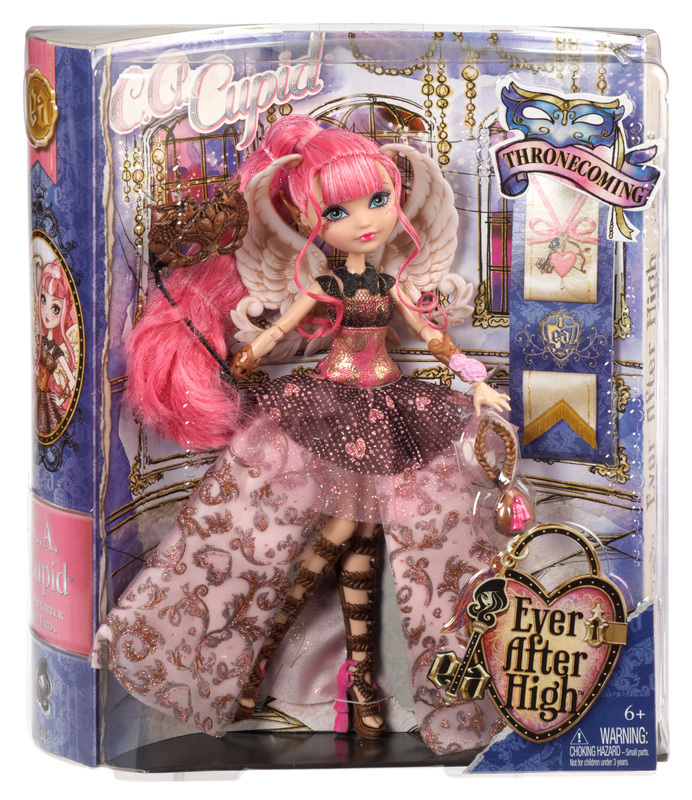 Daughter of Eros and an Ever After Rebel, C.A. 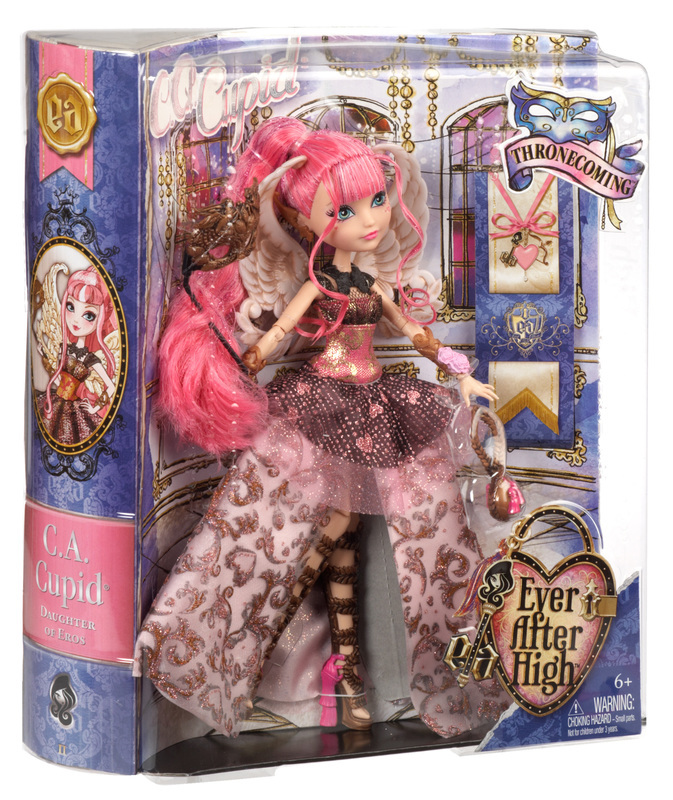 Cupid enchants in a Grecian-inspired dress designed in pink, gold and white with ornate foil prints, delicate layers and black details. Gold-accented wings are a spellbinding touch, while Grecian-inspired heels are awe-inspiring. 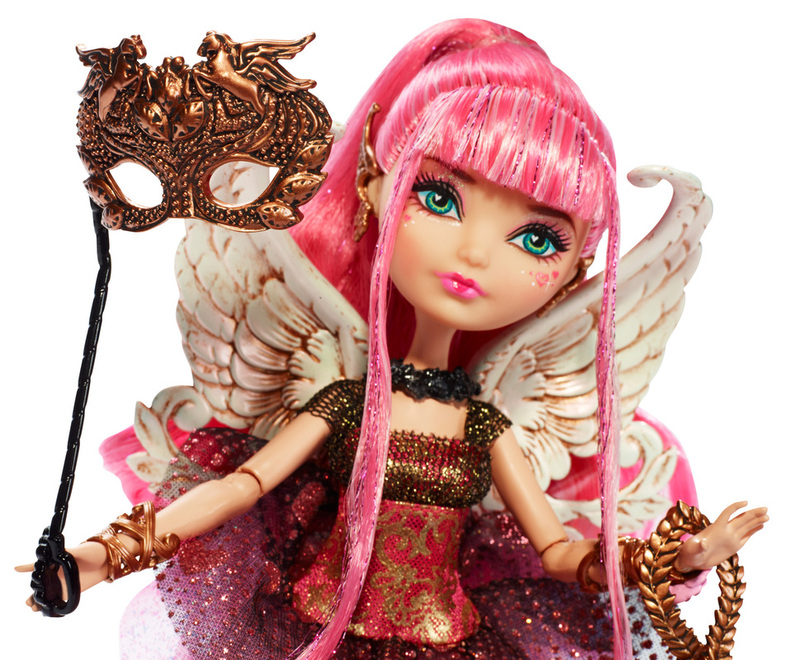 For the masquerade ball, a Pegasus-inspired mask, luxurious makeup and shimmery hair complete a stunning look. Collect her all of her competitors (sold separately) for hexquisite display! Ages 6 and older. C.A. 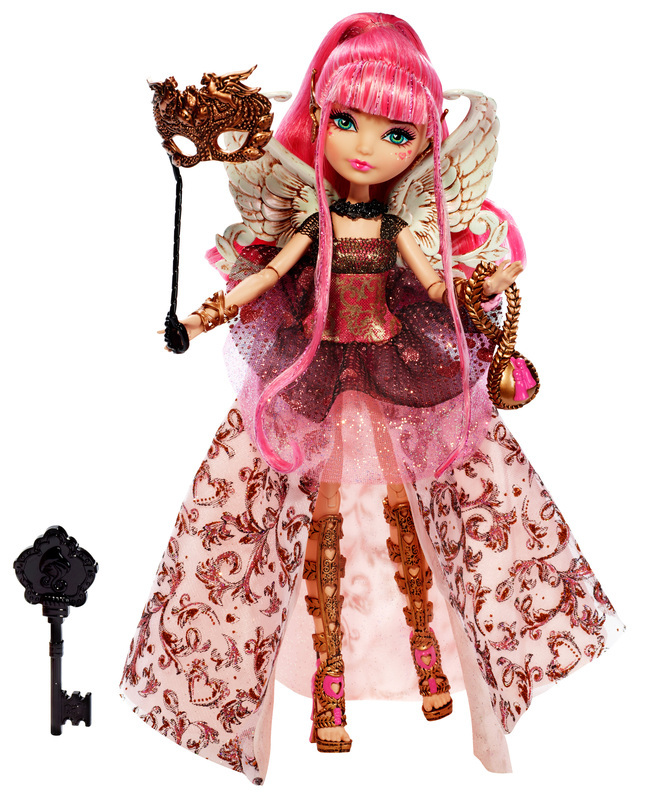 Cupid doll enchants in a spellbinding Grecian-inspired look inspired by the winged Pegasus! 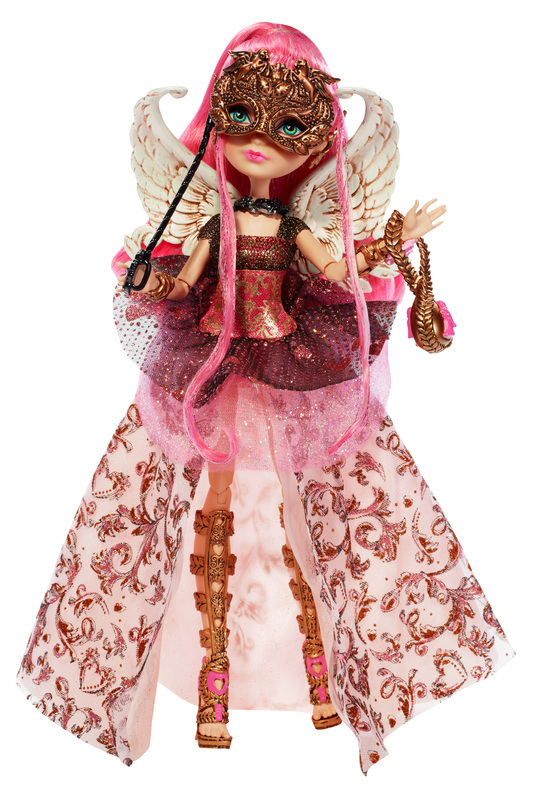 Luxurious makeup, shimmery hair and an ornate mask complete her stunning look.